On this week’s Social Media Marketing Talk Show, we explore Facebook organic reach update for pages, Instagram Live sharing in Direct Messages, and Facebook shutting down their personal assistant “M” with Jeff Sieh, and other breaking social media marketing news of the week! If you’re new to the show, click on the green “Watch replay” button below and sign in or register to watch our latest episode from Friday, January 12, 2018. You can also listen to the show as an audio podcast, found on iTunes/Apple Podcast, Android, Google Play, Stitcher, and RSS. Michael Stelzner will appear on the show next week to provide an in-depth analysis of what this means for page owners and marketers and how it will impact Facebook content going forward. 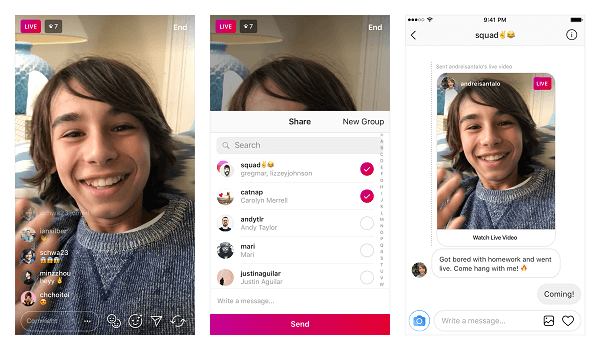 Instagram announced that users can now privately send live videos over direct messaging. Facebook Tests New Local News Section: Facebook is testing a new section of the mobile app called “Today In.” It features a feed made up entirely of local news, events, and announcements. Recode reports that Facebook is currently vetting local publishers in New Orleans, Louisiana; Little Rock, Arkansas; Billings, Montana; Peoria, Illinois; Olympia, Washington; and Binghamton, New York to be featured in this section. This test is currently limited to just these six U.S. cities. Facebook Allows Edits on Image Alt-Text: It appears that Facebook will now allow users to override auto-generated alt-text for images uploaded to the site. Facebook began using its object recognition technology to automatically describe the content of photos for blind and visually impaired users in 2016. By 2017, this technology was being used to enable new search capabilities, facial recognition, and filter objectionable content. This new update was discovered by Matt Navarra. 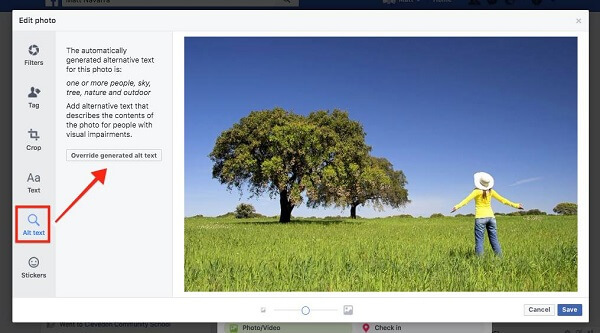 Facebook now allows users to override auto-generated alt-text for images uploaded to the site. Facebook Adds New Tagging Option to Stories: Facebook now appears to allow broadcasters to tag other people and pages in their stories. This new feature was discovered by Matt Navarra. Instagram Halts Live Broadcasts That Possibly Violate Copyrights: It’s been discovered that Instagram now interrupts live videos if it detects that the audio, music, or video content being streamed infringes on someone else’s copyright. 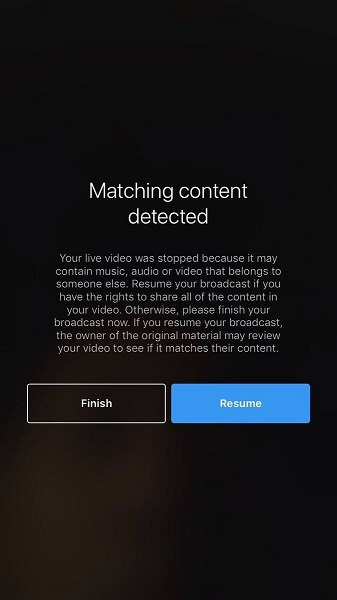 When a match is detected, a warning pops up and suggests that you “finish your broadcast now” if you don’t have the rights to share all of the content in your video. Last month, we reported that Instagram appears to have rolled out Rights Manager for Instagram and this seems to be an extension of that initiative. This new service for Instagram was discovered by Matt Navarra. Instagram now interrupts live videos if it detects that the content being streamed infringes on a copyright. Facebook Launches Messenger Kids for Fire Tablets: Facebook’s new Messenger Kids app designed for children younger than age 13 is now available on Amazon’s Fire tablets. Messenger Kids initially launched on iPad, iPhone, and iPod Touch in early December, and can now be found on the Amazon Appstore in the U.S.
Facebook and Universal Music Group Sign Global Music Licensing Deal: Facebook and Universal Music Group (UMG) announced a new “global, multi-year” partnership under which UMG will be the first major music company to license its recorded music and publishing catalogs for video and other social media experiences across Facebook, Instagram, and Oculus. This deal was announced on December 21, 2017, and will allow Facebook to launch experimental social music features like the recently released Facebook Sound Collection over time. Snapchat Developing Stories Everywhere Feature: Snap Inc. is considering ways to broadcast its user-generated content beyond the core Snapchat app. The company is reportedly working on a new feature called “Stories Everywhere,” which is designed to expand Snapchat’s presence and make it a more engaging destination for news, sports, and other premium content. Snapchat Reportedly Considering 3-Second Unskippable Pre-Roll Ads: AdAge reports that Snap Inc. is giving “serious consideration” to adding 3 seconds of commercial breaks before offering a skip option on ads on Snapchat. This new ad format would attract more ad dollars from brands and advertisers, which a source confirms aren’t spending as much as on Snapchat as they have previously. Facebook Reportedly Developing Video Chat Product, Portal: Facebook is expected to launch a new video chat device named “Portal,” which will be in direct competition with Amazon’s line of Echo voice-controlled devices. Reports suggest that this new device will be designed as a consumer product to be used in the home “as a way for families and friends to stay connected through video chatting and other social features.” Facebook Portal is expected to cost $499 and officially debut in early May 2018 at Facebook’s annual developer conference.